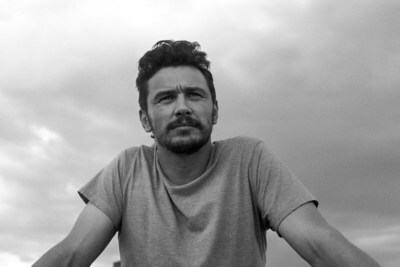 This isn't the first time the author and actor have collaborated; Franco recently starred as Jake Epping in the miniseries 11.22.63, based on King's novel of the same name. "James is a terrific actor," said King. "I knew that he would perfectly capture the vibe and voice of The Dead Zone." Franco added, "I've been a fan of Stephen King's work for a while now. He's one of the most pleasurable authors to read or listen to. He just guides you along so well. Even though we're from different generations all his influences and things he references and subjects he's interested in seem to be all the things I'm interested in." Set in the fictional Maine town of Castle Rock, The Dead Zone was made into a 1983 film starring Christopher Walken and Martin Sheen. The story follows Johnny Smith who awakens from a five-year coma to discover that he can see people's futures and pasts when he touches them. While many consider his talent a gift, Johnny feels cursed. When he encounters a ruthlessly ambitious and amoral man who promises a terrifying fate for all humanity, Johnny must find a way to prevent a harrowing predestination from becoming reality. "We're thrilled to fill this black hole in Stephen King's audiobook universe," said Chris Lynch, President & Publisher of Simon & Schuster Audio. "James Franco's narration is simply superb." Simon & Schuster Audio will publish the King classic on April 25th, 2017. Pre-order now.